I would like to wish you all a very happy Holiday season, let's make 2015 another awesome year filled with beauty, art and adventure! Buy some Art for the Holidays! December is here! Where did 2014 go? it feels like it flew by and I missed most of it. Wasn't I preparing for the Toronto Outdoor Art Exhibition just a few weeks ago? Sure feels like it! But no, it's December, Christmas trees are popping up all over the place and holiday songs are playing wherever you go. I cannot deny that the holidays are almost here and the time for Christmas shopping is upon us. This is the perfect time to get that very awesome gift for that special someone and to show some support for your local artists at the same time! This upcoming Friday (December 5th) Viva Vida Art Gallery will be kicking off their 6th annual small works exhibition, showing small affordable artworks by local artists as well as a wide range of jewellery, fine art prints, pottery and sculpture. 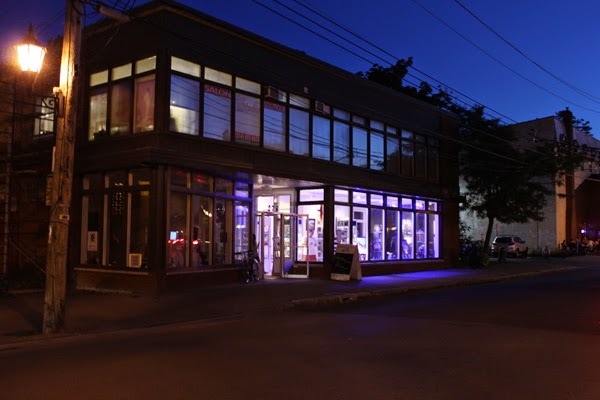 Come join us this Friday night from 7-10pm at Viva Vida Art Gallery (278-2 Lakeshore RoadPointe-Claire, Quebec H9S 4K9). There will be wine and snacks, loads of local artists to chat with, awesome artwork to see and maybe you'll find that perfect gift that you were looking for! What better way to celebrate the start of the holiday season?